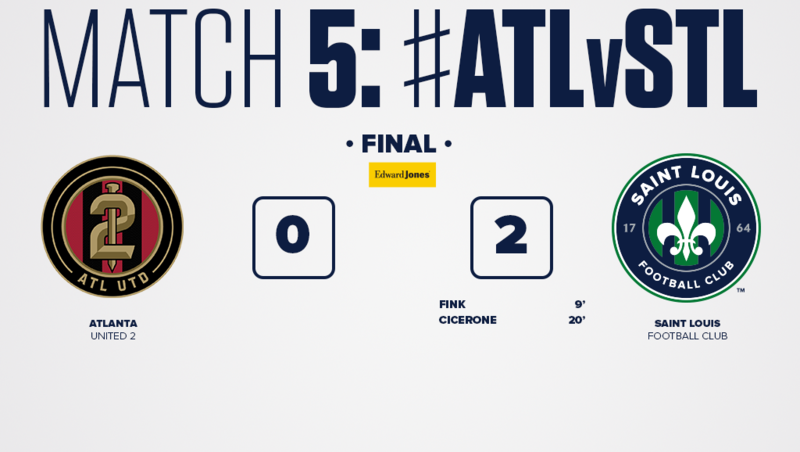 ATLANTA, Ga. – Saint Louis FC won 2-0 against Atlanta United 2 in front of 2,640 fans at Fifth Third Bank Stadium in Match 5 of the USL Championship regular season. Saint Louis FC opened the scoring from the penalty spot in the 9th minute as team captain Sam Fink stepped up to convert for his second goal of the season. Russell Cicerone would also tally his second goal of the season soon afterwards in the 20th minute as he led a counterattack and finished at the near post to earn the 2-0 win and see Saint Louis FC maintain their undefeated start to the season. The result moves Saint Louis FC to 4-0-1 with 13 points while Atlanta United 2 falls to 1-2-1 with 4 points in the USL Championship Eastern Conference. The first half saw Saint Louis FC create a majority of the chances and they nearly opened the scoring in the 5th minute as Lewis Hilton struck the crossbar from outside the box following a corner kick. It would not take long to get the opener, however, as Kyle Greig earned a penalty and Fink slotted it past former STLFC teammate and current Atlanta United 2 goalkeeper Alec Kann in the 9th minute. The away side would then double their advantage in the 20th minute as Cicerone got on the end of a through ball from Hilton and worked inside his defender to get a left-footed shot inside the near post for his second goal of the season. Atlanta United 2 would respond with a counterattack led by Andrew Carlton in the 24th minute and Laurence Wyke got a shot off but it was saved by STLFC goalkeeper Jake Fenlason to see the half finish 2-0. The second half saw Atlanta United 2 press to get back into the contest and they had a great chance in the 49th minute as Luiz Fernando found some space on the left but blasted his effort over the crossbar. Dion Pereira then created a chance for himself in the 56th minute as he cut inside the area and his shot went narrowly wide of the near post. 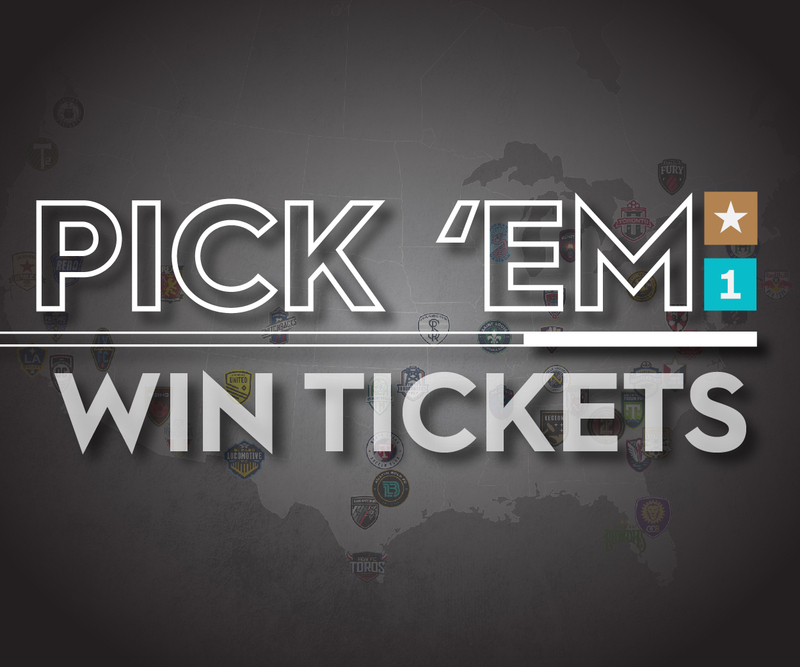 Atlanta would continue to create chances but Saint Louis FC would hold out to win 2-0 and preserve their third clean sheet of the season to remain top of the USL Championship Eastern Conference.